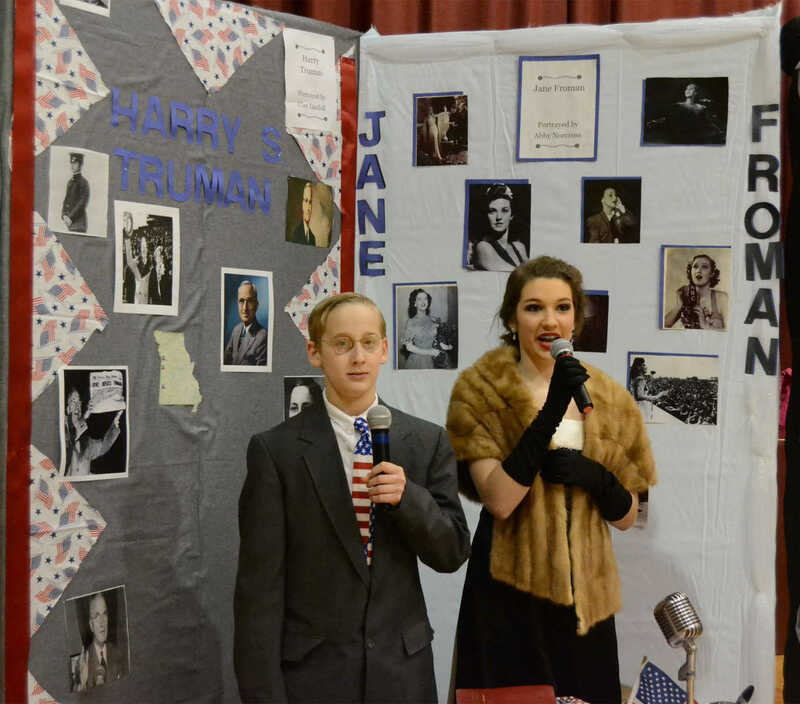 Clay Landoll and Abigail Norcross portray Harry S. Truman and Jane Froman, respectively, at the Wax Museum Tuesday. 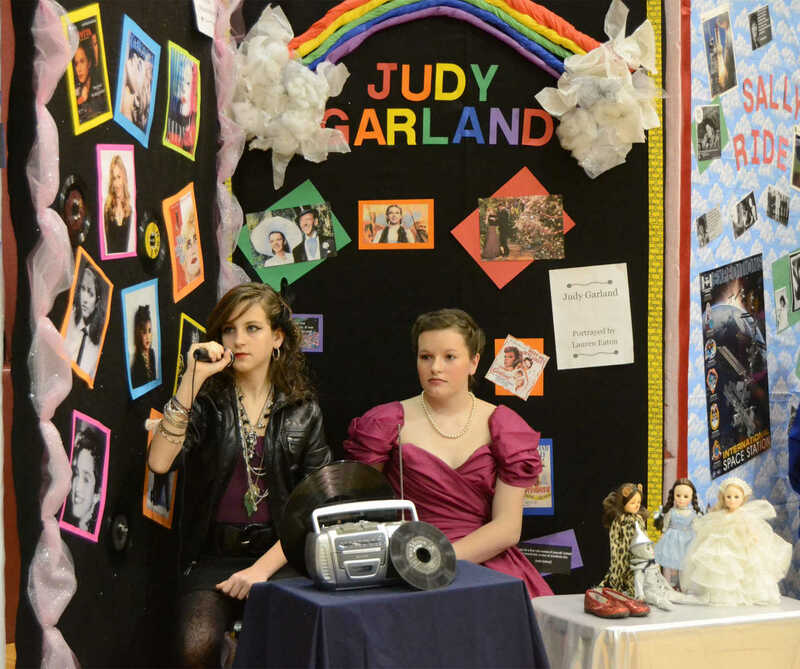 Alyssa Meisenheimer and Lauren Eaton, right, pose as Madonna and Judy Garland, respectively, at the Wax Museum on Tuesday. 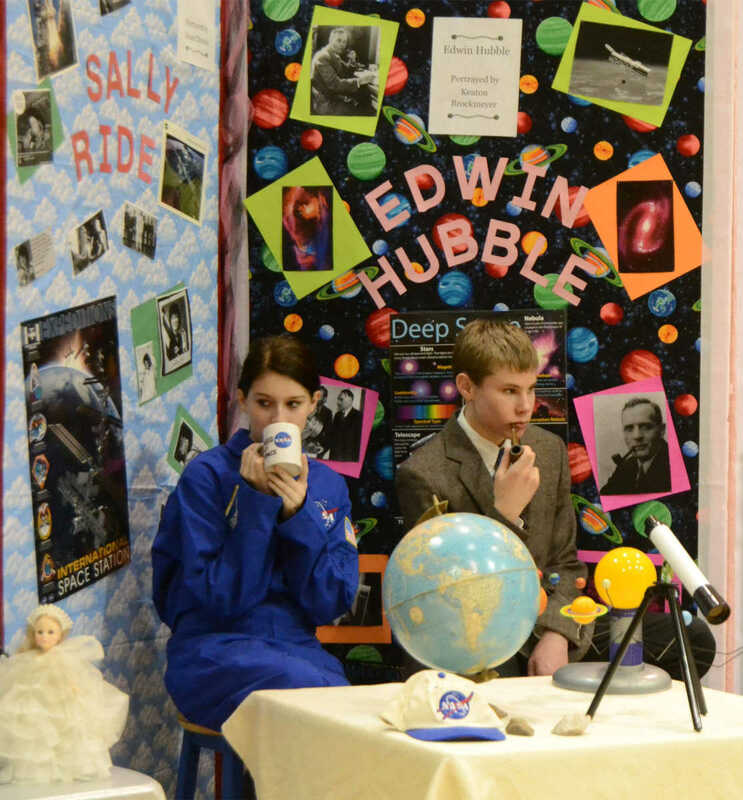 Grace Christie and Keaton Brockmeyer pose as Sally Ride and Edwin Hubble, respectively, at the Wax Museum on Tuesday. 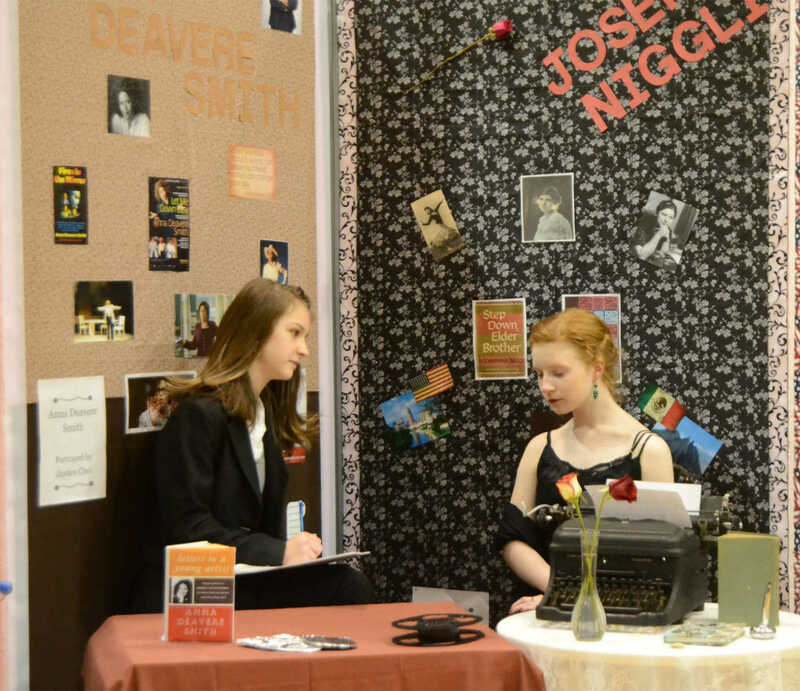 Jayden Chei and Kaitlyn Hogan pose as Anna Deavere Smith and Josefina Niggli, respectively, at the Wax Museum on Tuesday. 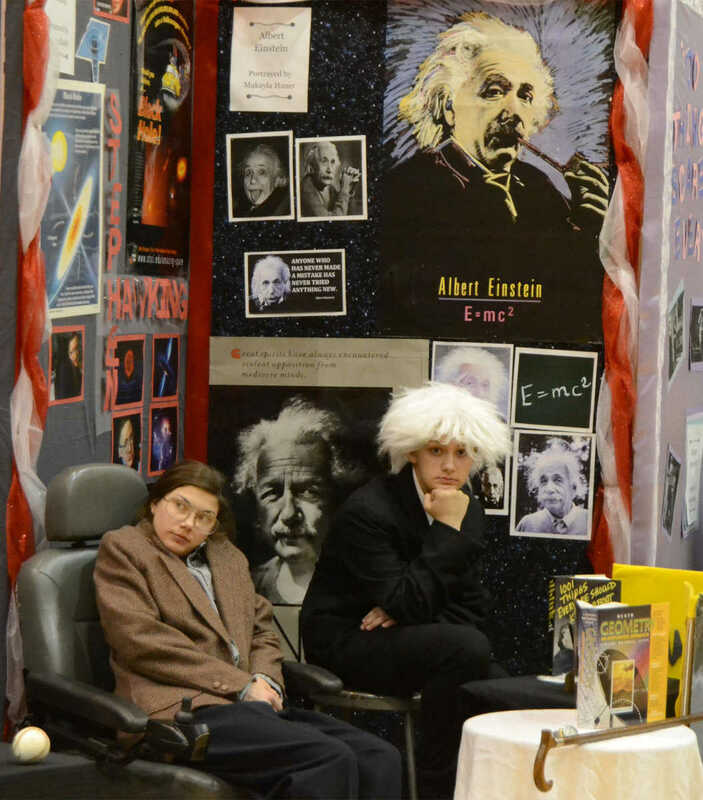 Sammy Gundy and Makayla Haner pose as Stephen Hawking and Albert Einstein, respectively, at the Wax Museum on Tuesday.